Sabrina (2018) – What's New on Netflix Canada Today! Maira lives happily with Aiden, a doll maker and toy company owner. But Vanya, their adopted daughter and Aiden’s niece, is still dealing with the loss of her birth mother. After Vanya plays Charlie’s Pencil to summon her late mother, strange things begin to happen. Maira is terrorized by the Sabrina doll. What is happening with the doll and what does it want? 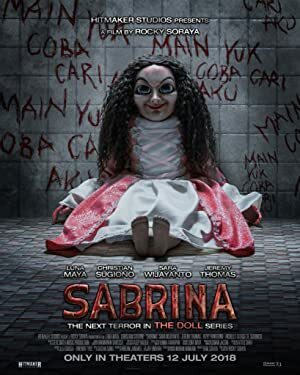 A toymaker and his wife are terrorized by a demonized doll after their adopted child tries to summon her late mother’s spirit using a spooky ritual.